Julie has been practicing yoga and the healing arts for over 10 years. Her compassionate nature in her classes is a direct reflection of her many years of Buddhist study. In 2003, Julie co-founded the Indiana Buddhist Center and was dedicated to her role on the Board for many years. Julie says, “Anything good I have to offer in my classes or life, I owe to my beautiful teachers”. 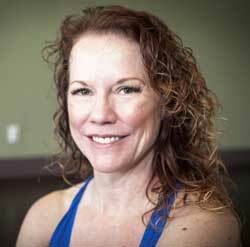 Julie brings a healing background to her classes with an emphasis on alignment, form and breath. She encourages her students to recognize the connection to life's everyday challenges and the challenges they might experience on the mat, while reminding students that yoga, like life, is a journey, not a destination. Julie completed her first 200hr Yoga Training at Yoga Midwest and in 2006 she completed OM Yoga’s Teacher Training program and received her Vinyasa certification through OM. She continues her studies with workshops and yoga training intensives including with the Vibrant and Inspirational Shiva Rae and Traditional Yoga Studies “Tibetan Heart Yoga”. Julie is also a certified Reflexologist and practices in Sensui New Beauty spa. David began his yoga practice 12 years ago at the age of 58. After practicing for four years he completed basic 200 hour teacher training in vinyasa or flow yoga. He started teaching on a regular basis while serving in the Peace Corps in 2007. In January 2010, David completed his 500 hours of teacher training. 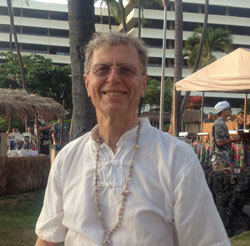 David specializes in gentle yoga in which he combines flow yoga and Qigong, creating his own unique style of teaching. At this point in his teaching career, he is focusing on teaching students who need a gentle nurturing class, particularly seniors. As someone who was began his practice later in life, David has a real appreciation for yoga’s ability to maintain a healthy body, mind and spirit. His classes are truly open to everybody. No one is too old, too stiff, too out of shape, or too anything. By listening to one’s body, a student can use yoga in addition to prescribed medical treatment to help her/him recover from injuries, sickness and/or surgery. Although yoga is a serious life pursuit for David, he brings a lightness to his teaching and practice, and bills himself as the "Yoga Dude". Monica has been practicing yoga since 2006 as a way to find fitness, but quickly she realized that yoga was way more than that. For Monica, yoga transformed the way she looks at the world, and most importantly, the way she looks at herself. Her yoga practice has been a beautiful, life-altering journey for herself, and one of her biggest desires is to help teach others how to find the truths about themselves. Monica teaches a Vinyasa Flow class focused on synchronizing breath and movement with detailed attention in alignment. Monica encourages her students to come to their mat just as they are, to leave their ego at the door, to connect with their breath, and that it is OK to let go and surrender. 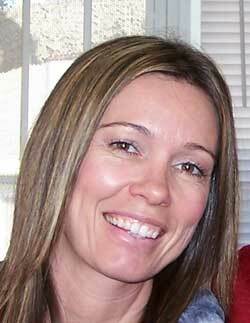 Monica is also a Reiki Karuna master and incorporates this healing energy in her classes. Yoli has been practicing yoga for over 8 years. She loves the moving meditation created by flow yoga and linking one's breath with movement. Recognizing the mind and body benefits yoga offers, she felt inspired to share her yoga practice with her young son. She completed a Kids Yoga teacher training, which fueled her passion and desire to share her practice. This led her to complete a 200 hour in-depth yoga teacher training with Cloud Nine Yoga School and become certified to teach Hatha yoga. Yoli is a RYT-200, registered with the Yoga Alliance, and enjoys teaching both kids and adults in her community. When she's not teaching or practicing yoga, Yoli enjoys reading, writing, gardening, listening to music, drinking good beer, and most of all spending time with her family and their dogs. Karen chose to major in Sociology at California State University Long Beach to better understand the world around her, but it was many years as a student of yoga that ultimately led to a better understanding of herself. In college, an opportunity to travel and work with Habitat for Humanit rebuilding houses allowed her to truly recognize the passion she had for helping others. It was not long after returning from that trip that she came to realize she could combine that passion for giving back with her love of yoga by becoming an instructor. Karen's goal as a teacher is to communicate with her students in a way that allows them to leave her classes with knowledge they can use to become more confident in their own practice. She enjoys coming up with creative and challenging sequences and encouraging her fellow yogis to not only work hard, but to have fun! Her greatest joy comes from watching her students grow to realize the true potential within themselves. Prior to discovering yoga in suburban Detroit 7 years ago, Cindy's mind and body health regiment was scattered. Her body was accustomed to a strong physical practice and her mind was hardly involved in the process. After her first Vinyasa class, Cindy saw that yoga is the link between mind and body, and its message is especially important in our stressful lives. For Cindy, yoga unfolds itself in its ability to shift off of the mat and into our everyday lives, helping us move through any challenges that may arise on a daily basis. Cindy's personal spiritual practice embodies non-violence and non-judgement to others and oneself, acknowledging that we are constant works in progress. 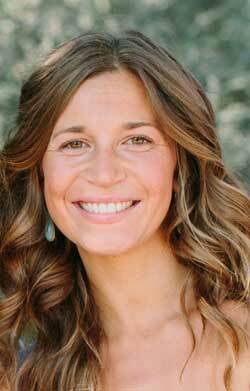 She received my training through True FLOW Yoga in Costa Mesa, CA under the patient guidance of Brynn Rybacek, an Iyengar-based practitioner. She is a member of The Yoga Alliance with a 200 hour RYT certification. Music is ever-present in her life and her classes are often guided by whatever tunes are moving her. Cindy's favorite asanas: "Those that inspire an open heart -- BACKBENDS!" Fawn believes in the power of healthy relationship(s) with oneself and with each other. In her role as a mental health practitioner and as a RYT-200 yoga instructor, she strives to facilitate the development of strength, compassion and self-love. Enhancing awareness of the mind-body connection is an especially integral part of Fawn's work. In her classes attention is brought to noticing internal experience, moving with intention and with breath, as well as ending classes with cues of how to carry relaxation from the mat into daily pursuits. Fawn recently relocated to Orange County from Southern Oregon. An avid outdoors-woman, Fawn is ecstatic to pursue moving mindfulness practices such as hiking, rock climbing, dance, sand volleyball, paddle boarding, yoga, etc., in the beautiful Southern California sunshine and landscape. 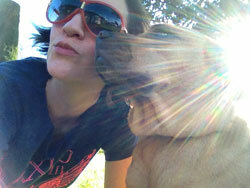 Kristen, a yoga teacher and freelance writer, has been practicing since 1997. She spent the last three years deepening her practice, gaining greater knowledge and understanding of Vinyasa Flow and Hatha styles of yoga by earning her Yoga Alliance-approved, 200- and 500-hour teaching certificates and attending classes and workshops throughout Long Beach and L.A.
Kristen's teaching style emphasizes strength; flexibility; proper alignment; and, most important, safety. All movement is connected with the breath, ensuring that students gain the most benefit from their practice — physically, mentally and spiritually. And all classes follow a distinctive theme — whether related to a specific part of the anatomy, the season or a personal intention. In the end, her goal is to inspire students to work to their highest potential, while encouraging them to have fun and enjoy their practice.